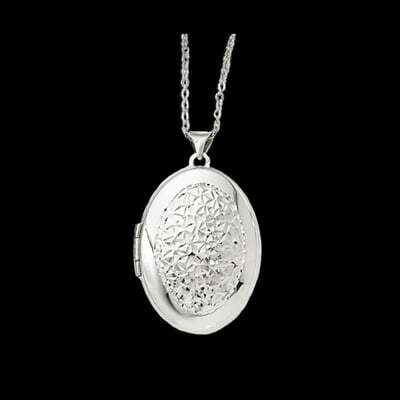 14k white gold oval diamond cut design locket. This great locket measures 33mm top to botom by 21mm across and weighs 2.66grams. It's part of our "Lifetime Guaranteed" collection, if anything happens to this locket return it and we will replace it FREE. Chain is shown but not included. Ladies Ed Hardy Love Child pink watch. This stylish watch features a soft calfskin leather band with stud and Swarovski crystals, hardened mineral crystal, Quartz movement, and is water resistant tested to 3ATM. 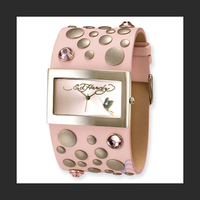 Pink sunray dial with a Case measures 42mm x 26mm and is made of surgical steel. Delightful 14k white gold Blue Sapphire and Diamond ring. This pretty ring features a milgrain design around a center blue sapphire. Milgrain also borders brilliant SI1 clarity G color diamonds that total .30cts. Lovely sapphire and diamond ring. Diamond Locket. Unique diamond shape 14k White gold diamond locket is set with .35 carats of brilliant diamonds. Beautiful locket measures 37mm from the top of the bail to the bottom by 25.25mm across. This diamond locket will hold 1 photo and will make a lovely keepsake. 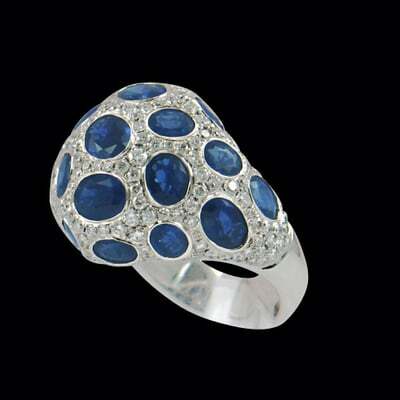 Exquisite 18k White gold Blue Sapphire and diamond Bombe ring. This ring is Incredible. Blue Sapphires total 8.41cts in this gorgeous ring. Diamonds are bright SI1 clarity F color and 177 of them total 1.48cts. Total gem weight in this design is 9.89cts tw. This luxurious sapphire and diamond ring goes with anything. Spoil yourself rotten.!!!! Irresistible 14k white gold square style diamond earrings. Gorgeous princess cut, round, and baguette diamonds are set in a square shape stud to create these stunning diamond earrings. Diamonds are SI1 clarity G in color and total .67ct tw for the pair. Princess diamond centers total .27cts, eight baguette diamonds are .22cts, and the eight round diamonds add .18cts for the .67cts tw. We know you'll love these stunning earrings and want to wear them all the time. 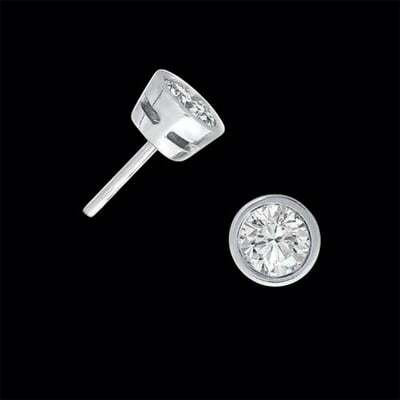 Fashionable 14k white gold diamond round style stud earrings. Diamonds earrings are set with SI1 clarity H in color diamonds and feature a milgrain design. Diamonds total .40cts tw. Dazzling everyday diamond earrings or wear on a special occasion. Vibrant 14k white gold diamond and emerald flower earrings. 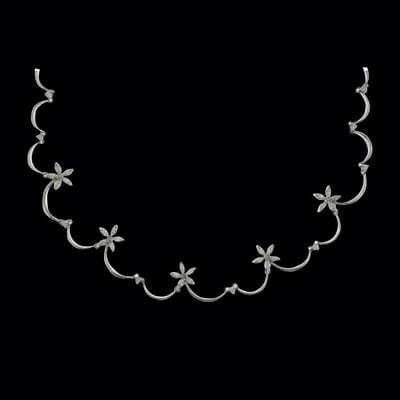 In this lovely design a round emerald surrounded with diamonds creates a charming flower design. Emeralds total .48cts for the pair. 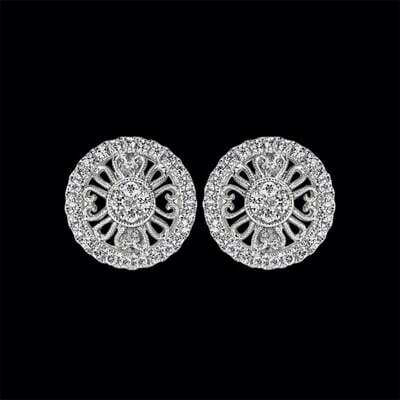 Diamonds in this pair of earrings are round SI2 clarity H in color and total .85cts. Earring gem total 1.33cts tw. 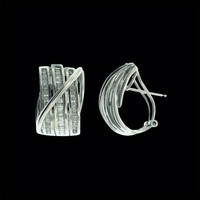 These earrings feature an omega style back for a comfortable fit. Emerald is a great spring color and the birthstone of May. Pick up a pair of these today. Stunning 18k White gold Baguette and round diamond rectangular shape earrings. This pair of diamond earrings features an omega clip back and is set with 1.04cts tw. Diamonds are channel set in this design and are SI2 clarity, H in color. A gorgeous pair of earrings. 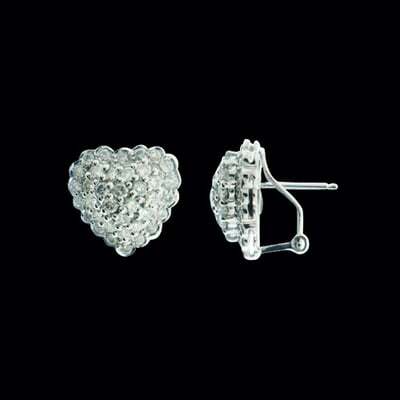 Romantic 18k white gold diamond heart shape earrings. These diamond earrings feature an omega clip back. Diamonds total 1.18 carats for this pair of earrings and they are SI 2 clarity H in color. They measures 5/8 inch by 5/8 inch. A gorgeousl pair of earrings. 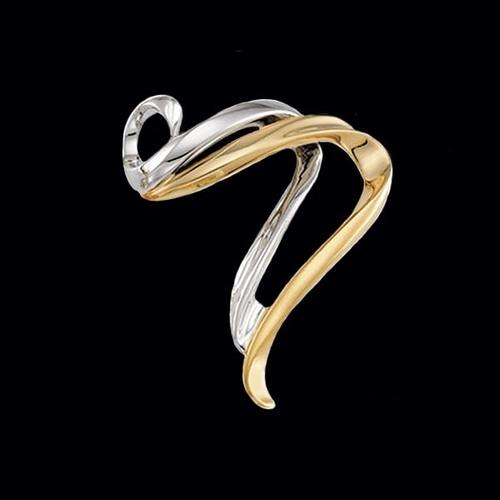 Lovely 14k yellow or white gold fashion ring. Bypass design ring weighs 7.81 grams and is readily available in a stock size 6-7. 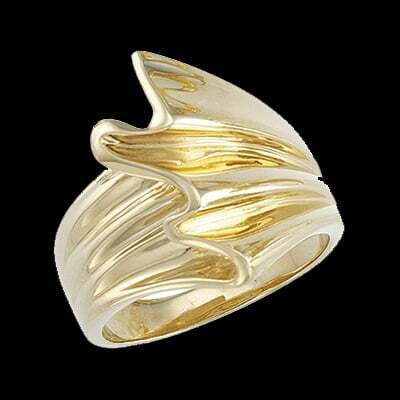 Incredible 14k Gold Fantasy design ring. This ring measures 21mm wide, that's just shy of an inch (25mm-1 inch) Bold design, ring weighs 12.92 grams. 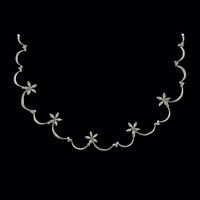 Special order in 14k White gold. Milana ladies diamond watch. Diamonds total .67ctw in this lovely watch. Stainless steel case, Swiss quartz movement, genuine Sapphire crystal, and 50m water resistance are a few special features of this great watch. 14k Yellow and White gold Omega slide measures a large 48.75mm by 41.75mm. (50mm = 2 inches) This slide will fit up to a 4mm Omega. 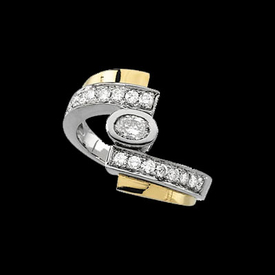 Stunning slide is also available in Platinum and 18k Yellow gold. Very nice design. Dynamic 14k white gold bezel set diamond stud earrings. This gorgeous pair of diamond studs is set with 1.12cts tw and the diamonds are SI2 clarity H in color. A great pair of diamond studs to wear everyday. Incredible Right hand ring in a 14k Two tone design. This ring holds 3/4ctw of SI 2 clarity G-I color diamonds, center oval diamond is 1/4ct tw.